Embrace the outdoors with the classic Gentlemen's Hardware 'The Adventure Begins' enamel collection. 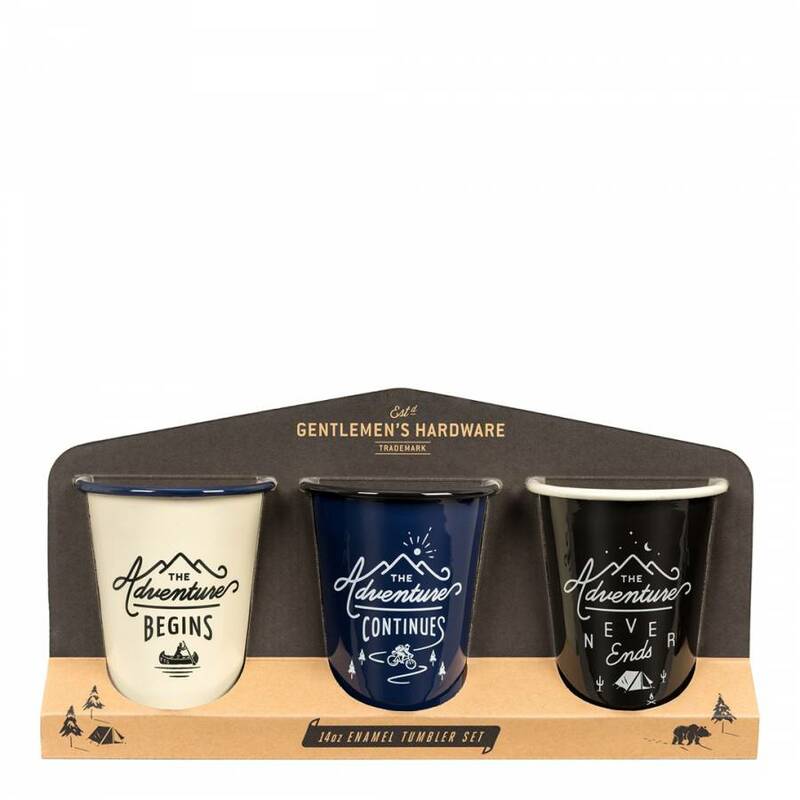 This hard-wearing Set of Three Tall Enamel Tumblers, read 'The Adventure Begins', 'The Adventure Continues' and 'The Adventure Never Ends' respectively and feature a smooth enamel finish, iconic motto, Gentlemen's Hardware logo and painted rim. Perfect for those spontaneous picnics in the countryside, camping, on the beach, summer festivals and wherever your adventures take you! Presented in kraft gift packaging.